8 rows of foam in the lid, the base and each side of the swing leaf. Holds up to 750 flies. 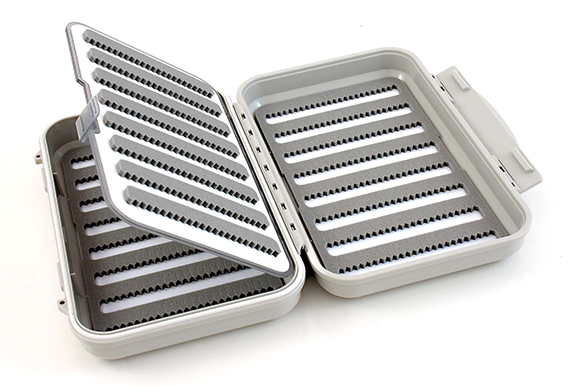 The ultimate pocket box for the fly angler. Three micro-slit foam faces cover all fly sizes. 8 pockets slitted foam in lid and base, plus 7 pocket foam in flip panel.